So many of you asked me to write a tutorial for the Trinket Case that I made earlier this year. Well, today's the day, friends! I'm sharing the tutorial over on the Fat Quarter Shop blog right here. This is actually the first in a series of tutorial posts I'll be doing for them over the next few months called Sew Illustrated. 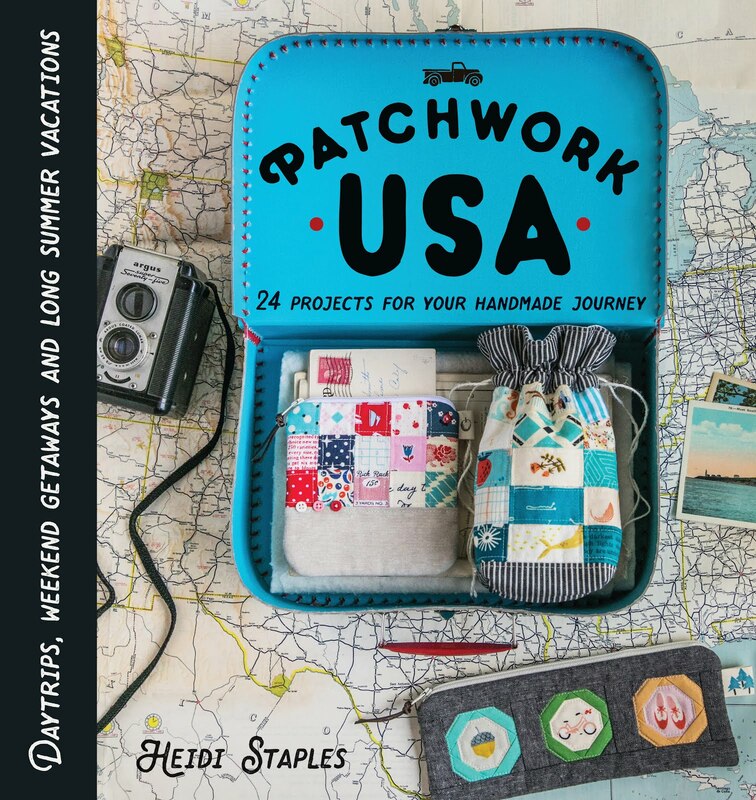 You all know how much I love a fun patchwork project, and with the holidays approaching quickly, it's always good to have a few extra handmade gifts ready to go. If you make one of these, please share pictures on Instagram. 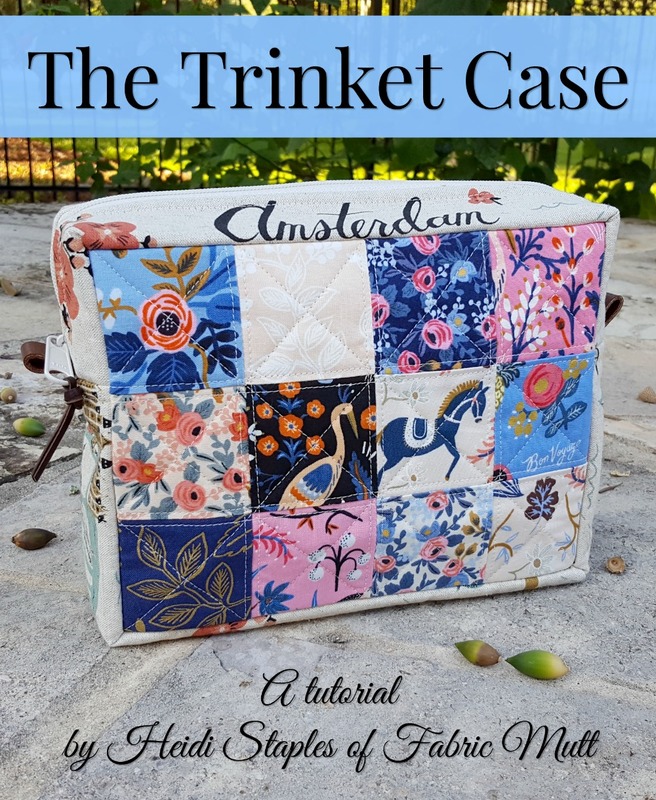 You can tag us @fabricmutt and @fatquartershop -- and be sure to add the hashtag #trinketcase. I can't wait to see what you make! I'm so happy to be on the First Blush tour today! 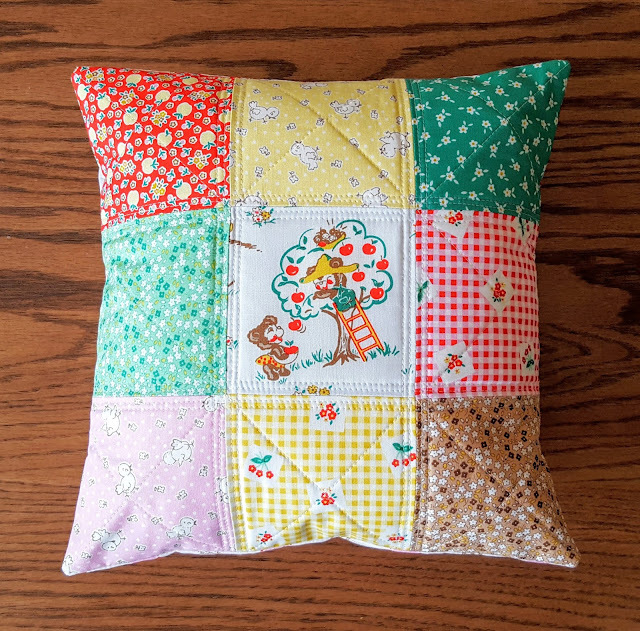 Ever since I made that sweet pincushion last month, I've been wanting to try another Dresden. Since I knew this tour stop was coming up on my calendar, it seemed like a great chance to make a larger version of the iconic block, this time as a colorful pillow cover. I have to say, I love making Dresden blocks. There is something so relaxing about it for me. 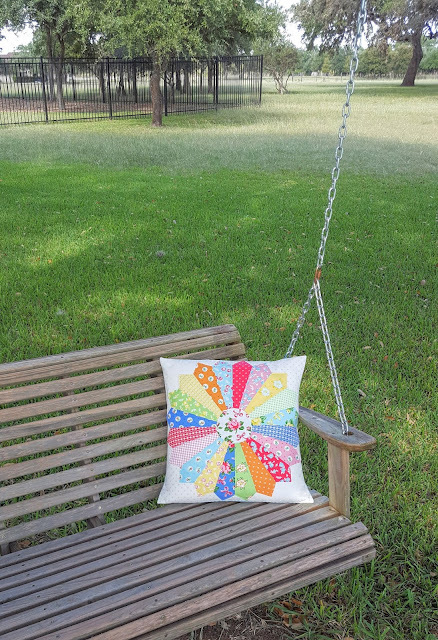 No worries about matching perfect seams, no intricate construction...just sewing up those petals and stitching them down to the background fabric. It's been fun to try something new, and I really should be doing that sort of thing more often. 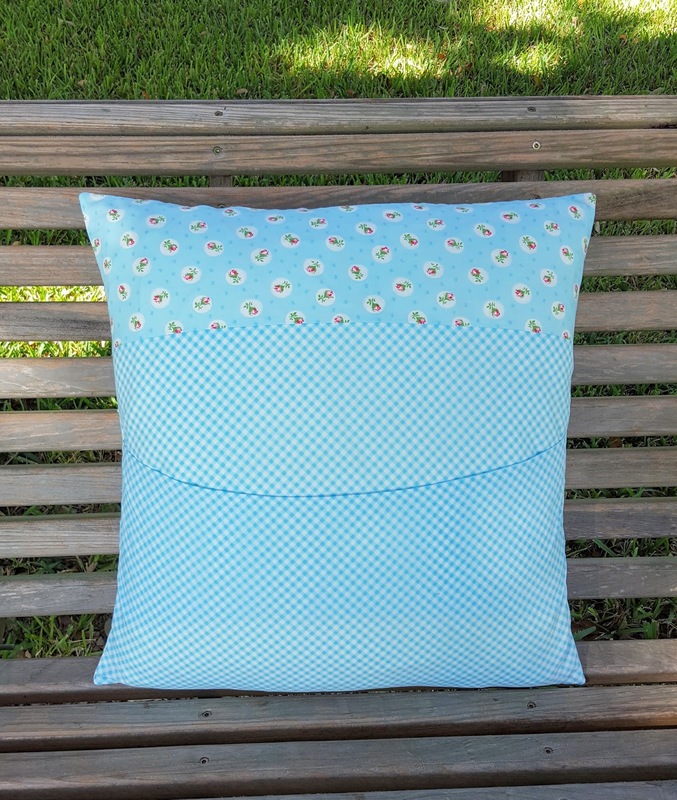 I backed the pillow in a mix of gingham and floral prints, both of which I love. 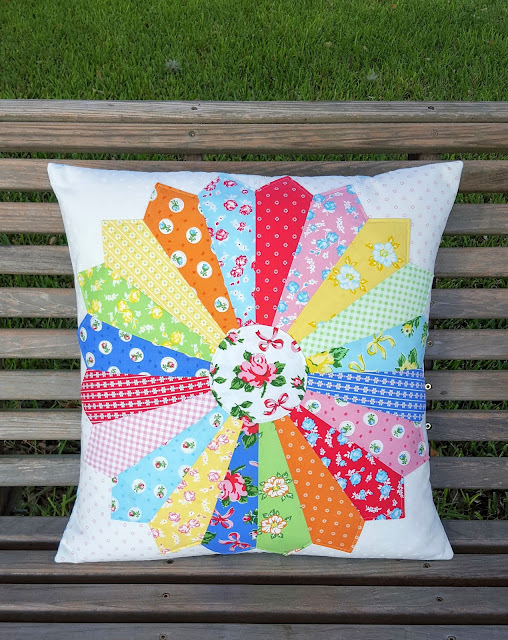 The entire collection has a distinctly vintage vibe, like something you would find on an old picnic quilt tucked away in the attic. 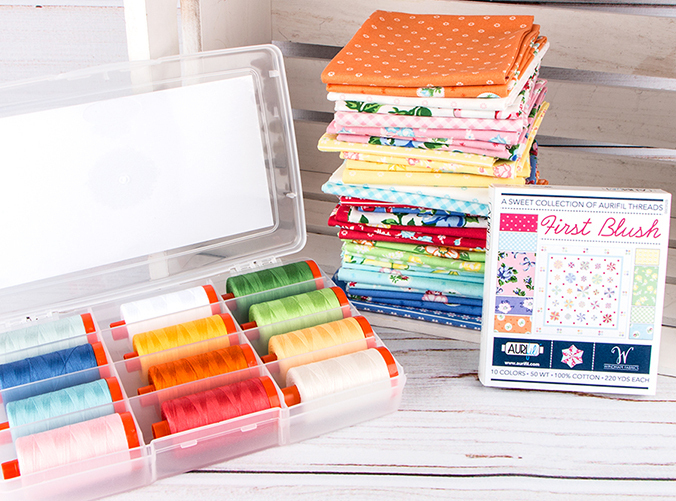 The colors are bright and happy, just perfect for spring and summer projects. I've known Amanda from Westwood Acres for years now. In fact one of the first full collection bundles I ever bought was from her shop, a fat eighth stack of Madrona Road by Violet Craft that I could not resist late one night. Amanda asked recently if she could send me some fabric to use in an upcoming blog post, and she surprised me with a lovely bundle of Apple Farm by Elea Lutz (one of my favorite designers, as you know) and a gorgeous stack of Lecien's Modern Basics text prints which I'm dying to use in my next patchwork project. 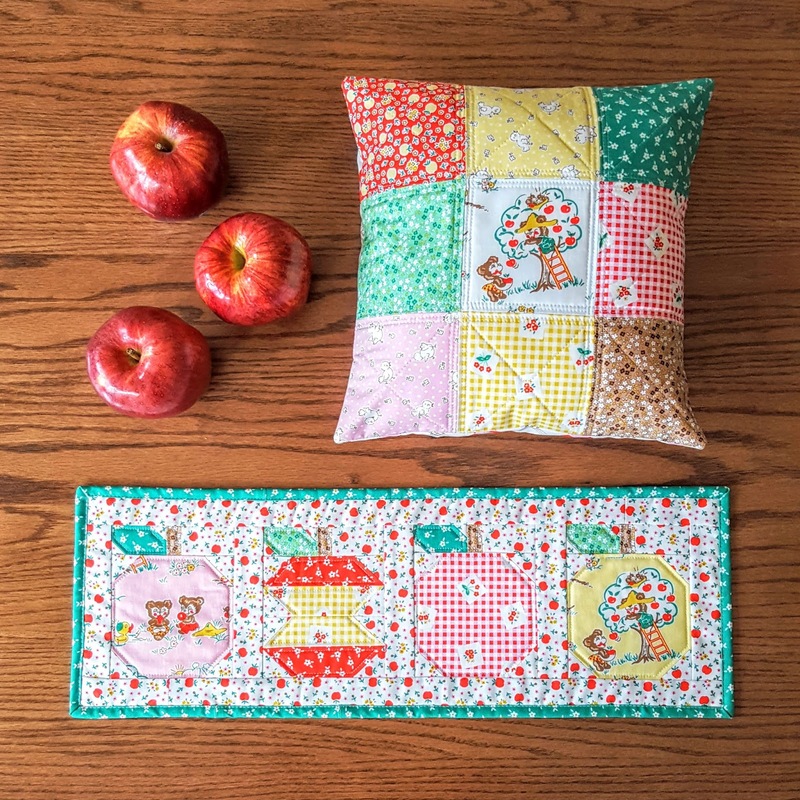 Seeing those darling Apple Farm prints, though, made me decide that it was time to make a few fun accents for our breakfast nook. If I had to pick my favorite furniture in our home, it would definitely be the Amish breakfast nook that my parents purchased when we moved to Texas. 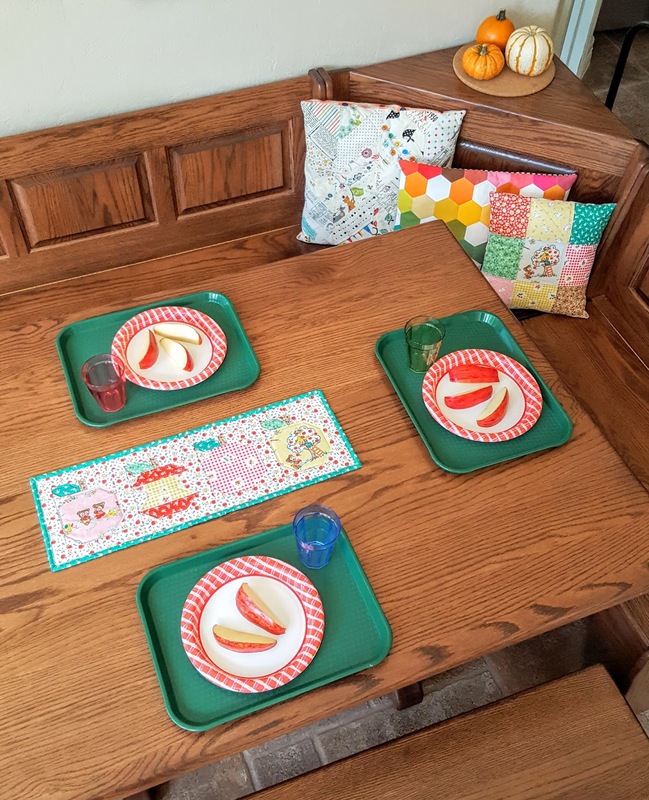 It's perfect in every way (the seats even lift up to reveal storage for all my table linens) and it's been a sweet spot for the girls and me to share breakfast together every morning before we start school. I use green plastic cafeteria trays for the girls to eat on so that we keep the mess contained -- another one of my favorite things -- but the table has been needing a small, narrow runner to brighten things up. I pulled out my copy of Quilty Fun by talented Lori Holt and opened to her adorable Apple-licious Quilt. 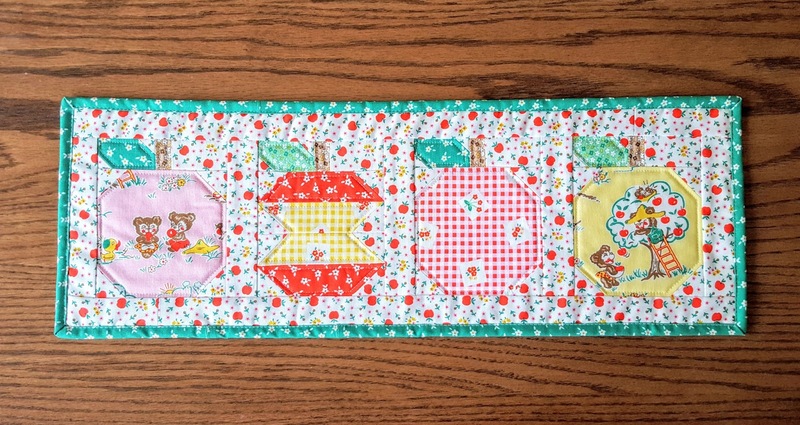 I used her two apple blocks to create a small runner that's just the perfect size for our table. 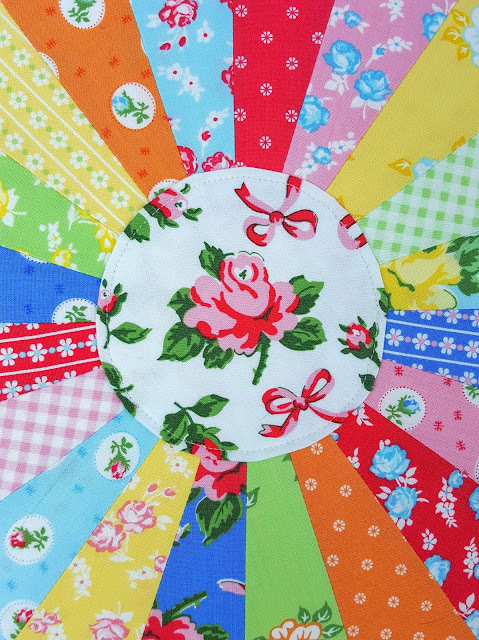 The background fabric tends a bit toward the busy side, but I've learned that, when it comes to table runners, that's probably for the best if I want to hide any spills and splatters! 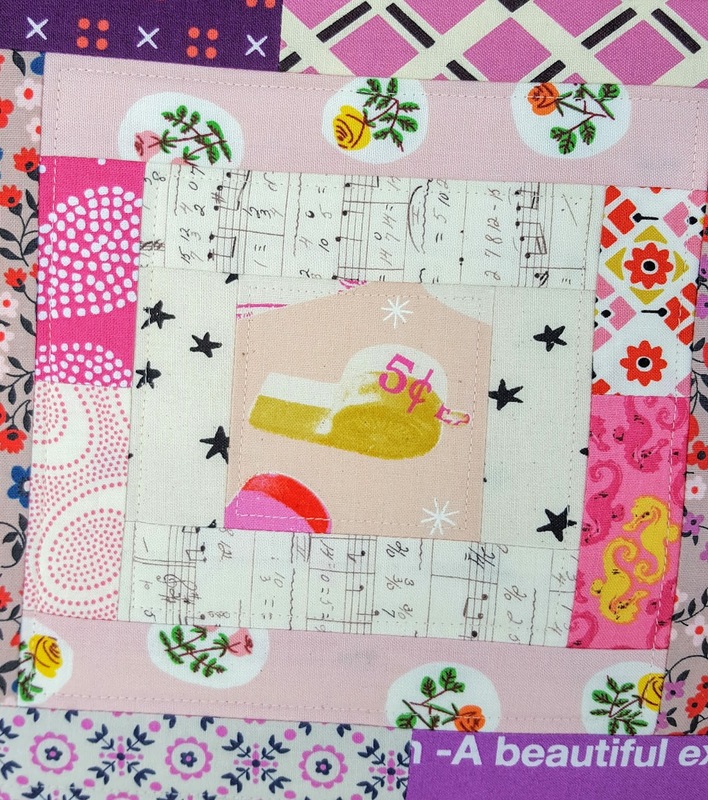 Lori is such a genius when it comes to making cute blocks that sew up easily and quickly. These were such fun to make. It took me less than an hour to whip up a quick patchwork pillow to add to our bench that would go with the runner. Simple squares are always a favorite with me, and I love being able to make another fun addition to our pillow collection for the breakfast nook. Sometimes you just need a bit of playtime. 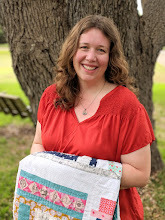 I've been working my way through deadlines and secret sewing lately, and after finishing another project last night, I suddenly decided that I needed a break -- it was time to do something just for fun. 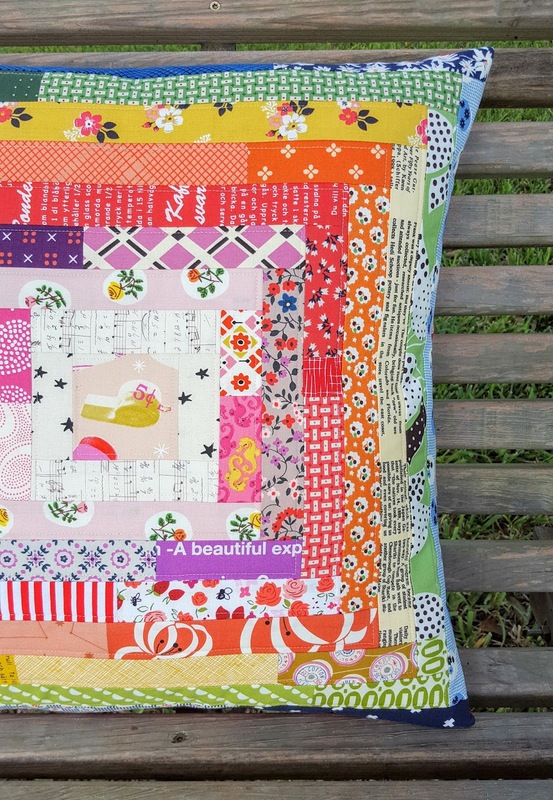 I pulled out a pile of scraps from a recent project and went back to one of my favorite blocks of all time: the scrappy log cabin. 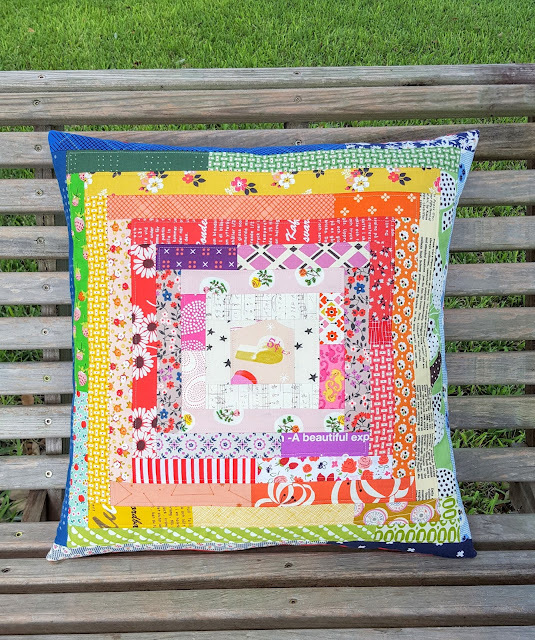 Rainbow colors, simple straight line quilting, text prints...it checks all my happy boxes and makes such a beautiful pillow. The back is a strawberry print by Emily Isabella for Birch Fabrics. I can never say no to strawberries. 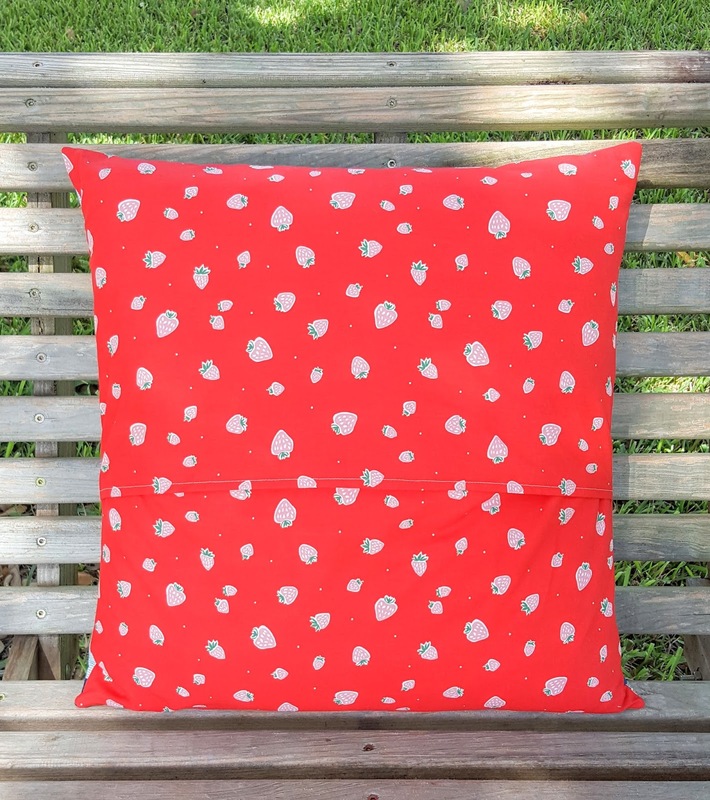 So now this pillow is sitting on my favorite chair in the living room, waiting for me the next time I want to curl up with a good book. And I'm feeling refreshed and ready to go on again.